Wouldn’t it be nice if retailers would allow you to “name your price” much like insurance giant Progressive? Well, in a way many of them are doing just that. How? By adapting aggressive ‘price matching policies in an effort to keep you from going to a competitor. Want to learn more? Let’s dive into this practice and how it can benefit you and your family’s bottom line. For many years now we have been searching for ways to save money each week. Like many of you we have watched our paychecks stay the same while the prices of goods and services have gone steadily up. 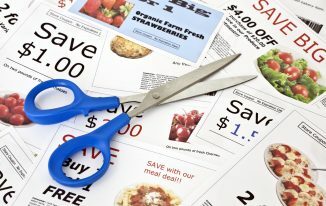 We have personally adopted numerous money saving techniques to include clipping coupons, using online coupon codes, buying generic brand goods and stacking coupon offers with sales just to name a few. We also make sure to shop around for services such as Internet, cable, cell phones and insurances as we know there is plenty of ‘special’ offers out there that we can save money with. With all our efforts by far one of the easiest ways we have saved money is by taking advantage of retailers that offer price matching. Price matching is super easy to do which is why we have made it a regular part of our shopping routine. The whole process takes only a few minutes and the potential savings can be huge – sometimes over 50% off. More and more retailers are now allowing for this practice so it is no longer just the larger stores such as Wal-Mart, Target, Lowes and Home Depot. 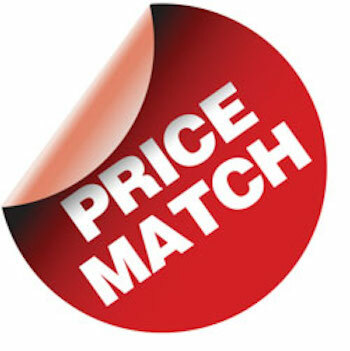 Click HERE to see a list of stores near you that will allow for price matching. My son had been saving for a motorized scooter and we took a trip to our local Toys R Us to see what they had. Keep in mind that we know that prices at Toys R Us are almost always higher than other area retailers but they make up for it with a wider selection to choose from. We found the one he wanted and it was priced at $139.99. Using my handy dandy smartphone I began looking around for the same item at another store priced cheaper. I was able to find it for $119 at Walmart.com but kept looking and found it for $100 on Amazon.com. So, I took the item to customer services, showed them the lower price on Amazon (the clerk insisted on checking the computer just to make sure the price was legit) but the price was eventually lowered by $39.99. Just like that! No coupon to print or code to enter. Why Are Retailers Doing This Anyway? It’s no secret that it costs more for a retailer to attract (market) a new customer than it does to retain a current one. A price matching strategy helps to keep you in the store (as a customer) and makes you happy. Happy customers come back, dissatisfied customers do not. It is a very basic but effective strategy. 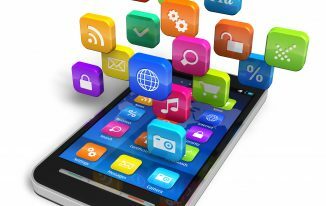 Download the Amazon Shopping App on your Apple or Android phone. This free app allows you the ability to find any item for sale on Amazon by simply scanning its barcode. The vast majority of price matching that we do is with Amazon and done through this app. It just makes things so much faster and easier. Kill Them with Kindness – If the sales associate acts as if they have never heard of price matching then ask for a manager to help assist. Just remember to always play nicely in the sandbox. Belittling an employee is not only rude but will also significantly reduce the likelihood that they are going to help you get what you are looking for (savings). Like anything else, restrictions may apply and the manager always has the discretion to limit or refuse a price match. If you roll up with a cart full of an item and ask for a price match don’t be surprised if/when they turn you away. 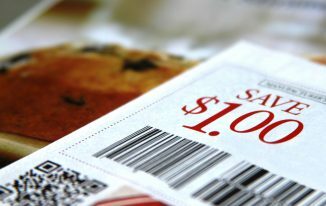 Shelf clearing is frowned upon by retailers and other couponers as well. Don’t try to abuse the system or you may quickly find that perks such as price matching become a thing of the past. Price matching is a great way to save you and your family money on just about everything. The next time you are making a purchase take the extra 5 minutes to look for it cheaper somewhere else. You might be surprised just how much money you can save and just how easy it is.